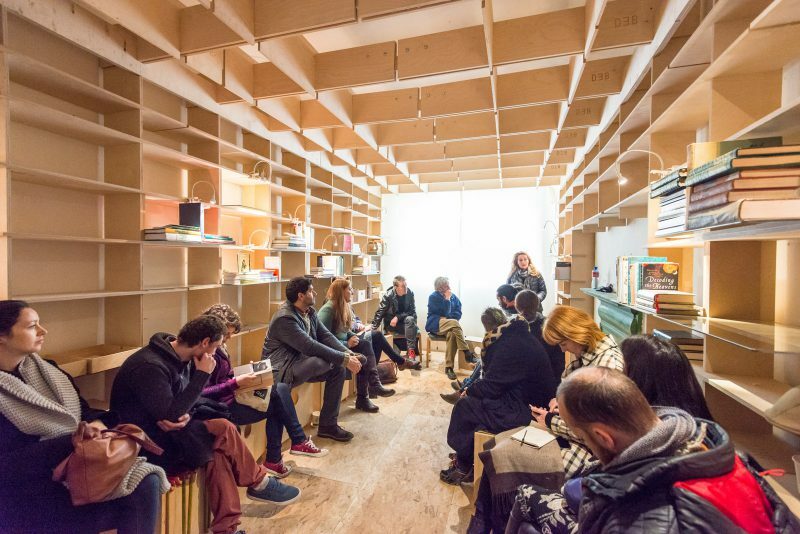 Vagabond Reviews, Temporary Institute (One): the Bio-Archives, a collection of micro-libraries drawn from an ecology of readers. Image by Brian Cregan. Workhouse Assembly, Union & Guild were a trio of projects undertaken by Workhouse Union focusing on the history, development and public engagement of the Callan Workhouse building, where the Workhouse Union team and library are based. 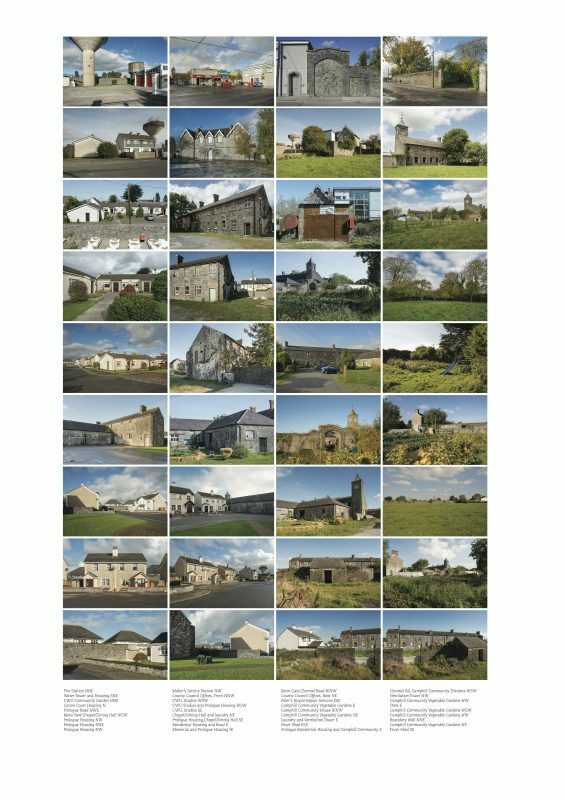 Workhouse Union was a programme of artists residencies and commissioned new work initiated in 2015 to critically examine the history and legacy of Callan Workhouse. This building has a significant history in our town and first opened in 1842 as part of a monumental social engineering project across Ireland and Britain under the Poor Law Union Act of 1838. This top down approach enclosed and excluded the most vulnerable in society in a formidable institution which compounded inequality and systematic stigmatisation. That this law, and the attitudes which made it policy, have continued echoes in social policy and public attitudes in Ireland and Europe today lends the workhouse project a contemporary critical urgency. 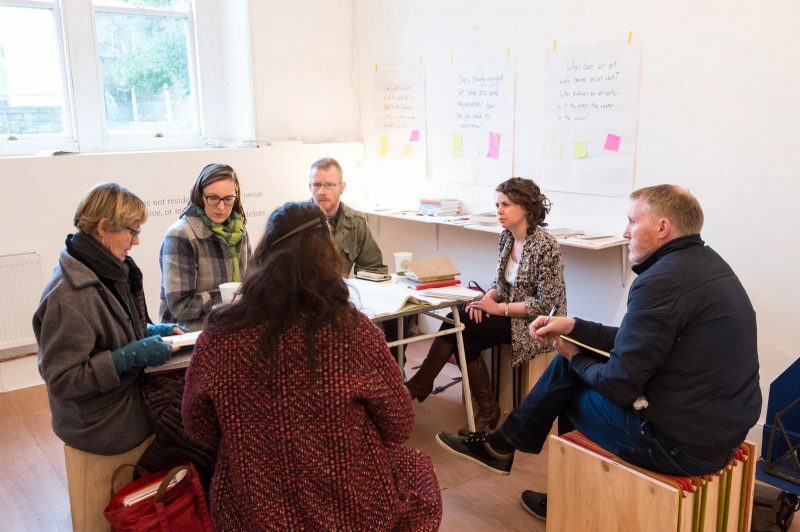 Artists and curators Bridget O’Gorman, Brian Cregan, Deirdre O’Mahony, Katherine Waugh, Orlaith Treacy and Vagabond Reviews were invited to develop new artworks and research addressing the legacy of institutionalisation and enclosure in our society. Through the commissioned artists and curators work, the framework expanded to food security and control, social inclusion, institutional violence and power, and reflection on the role and accessibility of art in society. 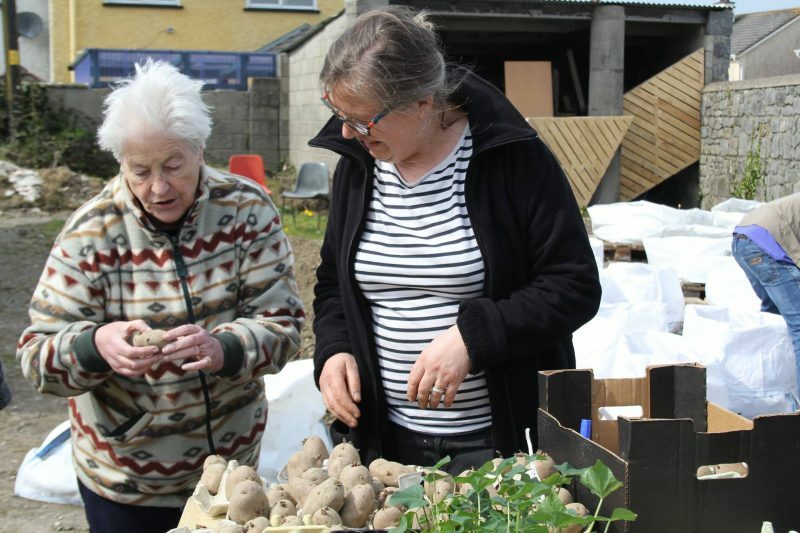 Deidre O'Mahony, SPUD planting with Callan Workhouse neighbours - containers were planted with varieties of potatoes and other Andaen tubers. Brian Cregan, Enclosure, a portrait of Callan Workhouse. 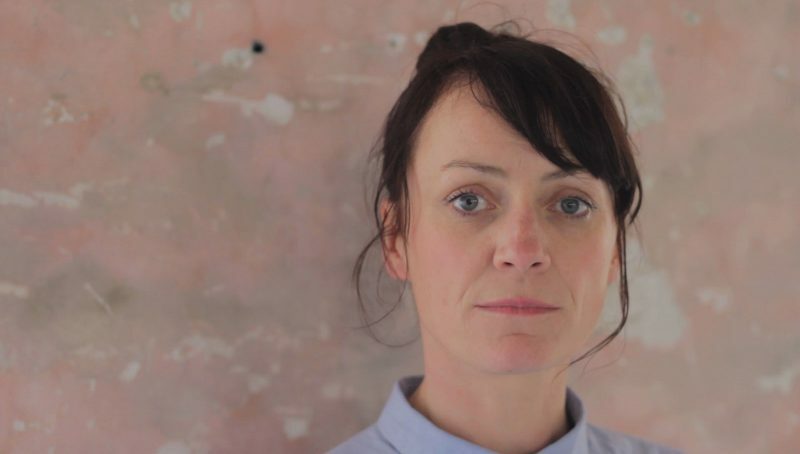 Bridget O'Gorman, A Word Not Spoken Holds Weight Single channel HD digital video with stereo sound. Video Still.